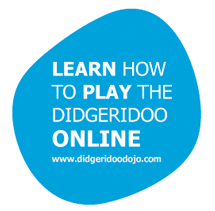 Here, from our little wooden cave, a lot of didgeridoo is taught. 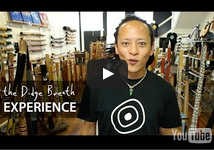 Trees, techniques, shapes, breathing styles, postures, isolations, connections, visualizations and body awareness are all staple conversations in discussing how to approach the didgeridoo experience – and there is always plenty to explore! 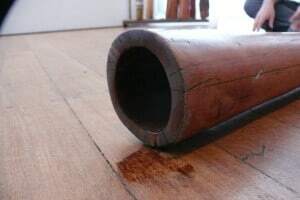 The team here were blessed to have Ondrej Smeykal back with us again to perform and to host a weekend-long didge exploration workshop. Ondrej’s passion for sharing and his grounding presence is always incredibly helpful in peeling back the many layers of the craft. We sat on the floorboards and experimented with our posture – how does the way we sit and hold ourselves affect our ability to maintain balance of air/power/energy? It is worth testing all options yourself to discover. 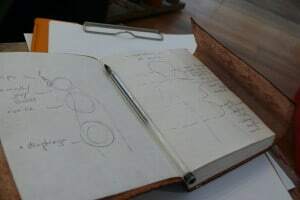 He then guided us through isolating the various playing variables, likening each body part’s influence to an instrument in its own right within the larger model of an orchestra of sound ultimately produced by such a rich instrument. The powerful diaphragm acting as the driving force, the beat, the pulse. The first wave of energy rising up from our seated connection to the earth beneath, strong & balanced. The energized addition of our chest, lungs & throat adds warmth, heart and interactive voice to the soundscape. Experiment with this. The next isolation we explored up the path is the space formed within the mouth. The tongue, the jaw and the cheeks work in combination to radically affect the sound of the instrument. 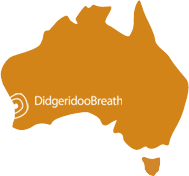 Fantastic insights shared by Ondrej’s personal didgeridoo journey included using jaw movements for both sound and breath opportunities, and the benefits of alternating vowels formed at the front and back of the tongue. Many rhythms and “instruments” were created in these isolations. The final isolation was the lips of course, and techniques explored beyond the good old-fashioned droning was his personal tongueless approach to trumpeting/tooting and the subtle art of achieving the quietest drone possible – an impressive and refreshing dynamic. Ondrej’s style of teaching is to discuss the point of interest in great detail from personal experience and then form an exercise to practice for 10-15mintues. This technique had the benefit of ensuring clear understanding and space to explore and recognize it within your own body. This was approached methodically, though it was always underlined that the need to FEEL the body was paramount to connection. All very inspiring and exciting! Keep your ears to the wall to catch Ondrej as he travels the world or when he returns again to Didgeridoo Breath for amazing inspiration and a general good time. 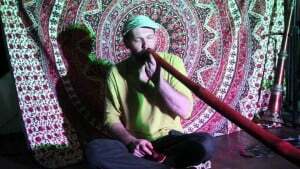 His professionalism and devotion to the true fundamentals of music are easily noticed and simply listening to him play for 50 minutes straight is proof enough of his mastery and exploration of an instrument that seems to know no bounds.